Jeremy Horn grew up in Memphis -- "Home of the Blues" and "Birthplace of Rock and Roll" -- but his music sounds more like the Beatles than B.B. King or Elvis. He writes songs for the church and songs for the radio, yet his songs are more complex than either has traditionally allowed. He lives in a city that is known as much for its racial unrest and inner-city violence as it is for being the place Elvis called home, yet he leads worship at one of the largest multicultural churches in the South, where half the congregation is African-American. When you meet Jeremy, he looks and sounds just like the "guy next door" -- if the guy next door has a traditional southern drawl. Making music has preoccupied Jeremy Horn ever since he received his first guitar at age fifteen. Growing up on the sounds of James Taylor and the Beatles, Jeremy spent most of his early years emulating the sounds and songwriting styles of the popular culture. "I used to write songs about social injustices in the world," says Horn. After a few years and conversations with a wise, older friend, Jeremy realized he could also write songs that aspired to give people hope, and not just write what everybody else was writing. Says Horn, "That progressed into writing songs for Jesus, and that was the process that unexpectedly led me to become a worship leader." That progression started Jeremy Horn on the path of continued discovery --listening to artists both Christian and not -- to figure out how to express feelings and concepts that came from within, rather than from the evening news. 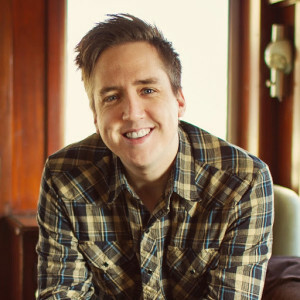 Jeremy's music is a fixture on Michigan's 17 Smile-FM Contemporary Christian music stations; his "I Will See Angels 'Round Your Throne" and "First Love" are two of his popular hits. Jeremy's new CD is Sound of the Broken. This is a rare opportunity to see Jeremy Horn in a small venue setting. Bring a friend!